Modern life can be dynamic, but at the same time very expensive. Sometimes we don't have time or we just don't pay attention to details that can save us money. 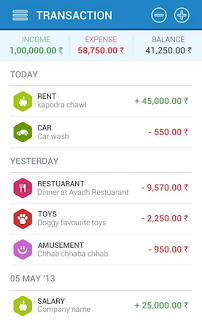 Hightechholic will present you quality app that will enable you clear view of your expenses and thus it will save you money. All you need is an Android smartphone that is 2.2 and up. 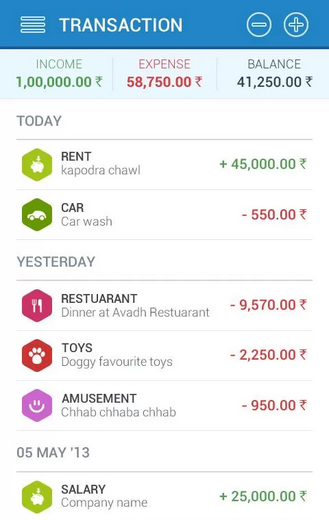 IExpense Diary is one of the simplest app you will ever use. Everything is smooth, fast and neatly organized. In the right top corner is where you add transactions. Your transaction can be either income or expense. Also you can choose the date that your transaction happened, select the category of the transaction and the type of the payment. Also there is statistics about your daily, weekly and monthly transactions. You can see which transactions are recursive, ie. transactions that repeat either daily, weekly or monthly. If this review didn't help you, there is a built in tutorial and also you can send email to support for any issue. Also, you can adjust the currency of your home country, which is pretty awesome. There are numerous currencies and even if you come from unpopular and less known country, you will find your currency. Personally I think that this is one of the simplest and most useful apps I've used since I've got my Android smartphone. The UI is so friendly and easy to understand. I should give big credit to the developers because I'm using this app with joy and happiness and I have improved my finances definitely. 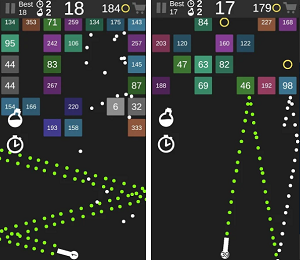 Try it, it is free and available on Google Play.